OK, ok before you freak out you have to remember that no business is perfect. Every business from time to time has an unhappy customer or client. It’s how you handle their expectations and resolve any negative comments. This will prove to the world that not only are you willing to face a difficult situation, but that also willing to work with a customer. So what if the negative reviews are showing up on the first page of the search engines? WHAT!? Really!? Yes, there are instances where negative reviews can be published on multiple review sites and since they are the “big guys” such as Yelp, Merchant Circle, social networks, etc., you need to find a way to restore your reputation. Now, how do you do that? Next, offer a resolution. No, it’s not expected you offer them a free “FILL IN THE BLANK”. Perhaps offering some friendly advice on how to resolve the issue will go a long way. It may or may not convert the reviewer back into a glowing customer, but it will diffuse the issue and show the public you’re willing to go that extra mile. Now, if you find yourself with negative reviews showing up high in the rankings, one of the most important thing to do is to create AMAZING content and get it out there. Ooo, how about a page that yo push the features, benefits, the all around perfection of your company or service? The world of online marketing is constantly in flux, changing and evolving as the technology of the web moves forward. Whereas once a simple SEO strategy would put your brand head and shoulders above the competition, now a more complex and sophisticated game plan is required. This doesn’t mean that you should abandon all of the carefully tuned SEO protocols that you have in place, of course, but to stay on the cutting edge, your brand should fine-tune those strategies and combine them with other online marketing techniques to form a comprehensive SEM strategy. 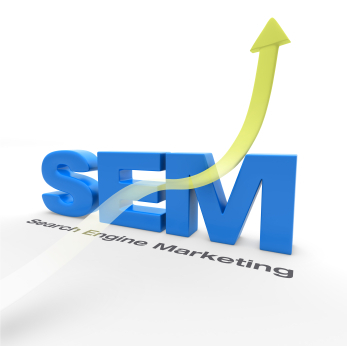 SEM stands for Search Engine Marketing. This acronym encompasses several elements of online marketing that, when employed properly, work together to increase your brand’s web traffic, online presence, and sales. There are three key elements of SEM that work in conjunction with each other to funnel traffic towards your brand’s website and translate that traffic into sales. This acronym stands for Search Engine Optimization, and it is the aspect of SEO that most brands are already familiar with. 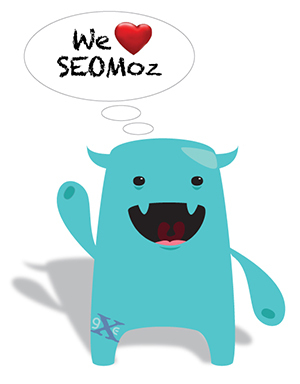 SEO refers to a set of techniques for generating traffic that all revolve around optimizing the efficacy of search engines. SEO is based on organic traffic and works by directing attention to your website naturally by making it show up more frequently and more highly ranked in search results. The goal behind SEO is that that search engine users are more likely to find your website when they are searching for specific terms related to your brand, products and services. Some of the key aspects of SEO include: - Keywords and targeted search terms strategically deployed throughout your website, including tags, headers, and text withing your website’s content. Whereas SEO works with organic traffic, raising your website’s rank within search engines naturally through keywords and other strategies, paid ads are exactly that: advertising that you pay for. Paid advertising usually appears in a few key forms: - Adwords. These are keywords that are closely associated with your brand that you pay to have even more firmly attached to that brand via Google. When you purchase an adword from Google, whenever anyone searches for that term, your brand’s site will always appear at the top of the (paid) search results. - PPC (pay-per-click) or CPC (cost-per-click) ads. These are ads placed on targeted websites that are frequented by members of your target audience. Each time someone clicks through to our website via one of these ads, you pay the owner of the website a fee (also the network you purchased them through). - Social Media Ads. These can come in the form of Twitter trending topics that you promote, Facebook ads, or other paid ads that appear on social media. Having an active, integrated presence on social media is absolutely necessary to an effective SEM strategy. Also, your social media presence should be incorporated into your main site in the form of “like” buttons, sharing options and other widgets. For example, brands with a Facebook page generally see a 300% increase in referral traffic through that social media site. Social media presence also positively effects e-commerce behaviour; for example: Giantnerd.com saw a 100% increase in revenue from Facebook within a month of adding a “like” button to their site. Being able to interact with a brand via social media has a tremendous positive influence on your target audience, and they respond to social media not just by boosting your brand’s profile and proving your SEM strategy effective, but also by buying your products and services. 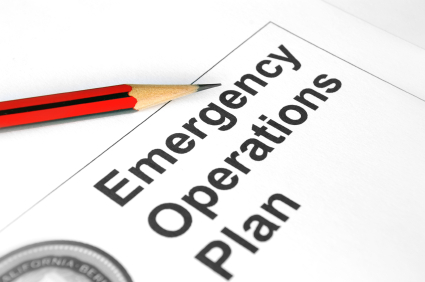 Don’t forget you might need a Community Manager to assist your Social Media strategy. Important to keep everyone in the loop! By combining these three aspects of SEM effectively, you can create a well-executed and coordinated SEM strategy that is sure to drive traffic to your site, result in a rise in your brand’s online profile and translate directly into sales. Officially, the Delta Medix website has launched. The site is packed full of educational materials including detailed descriptions on medical conditions and procedures, as well as a comprehensive provider listing and detailed frequently asked questions. The site is driven to be The “Go-To” source for all things medical related. By wanting their patients to have one place to download forms, find contact information, learn about their medical care and give the public a detailed resource, Delta Medix has accomplished all their goals. 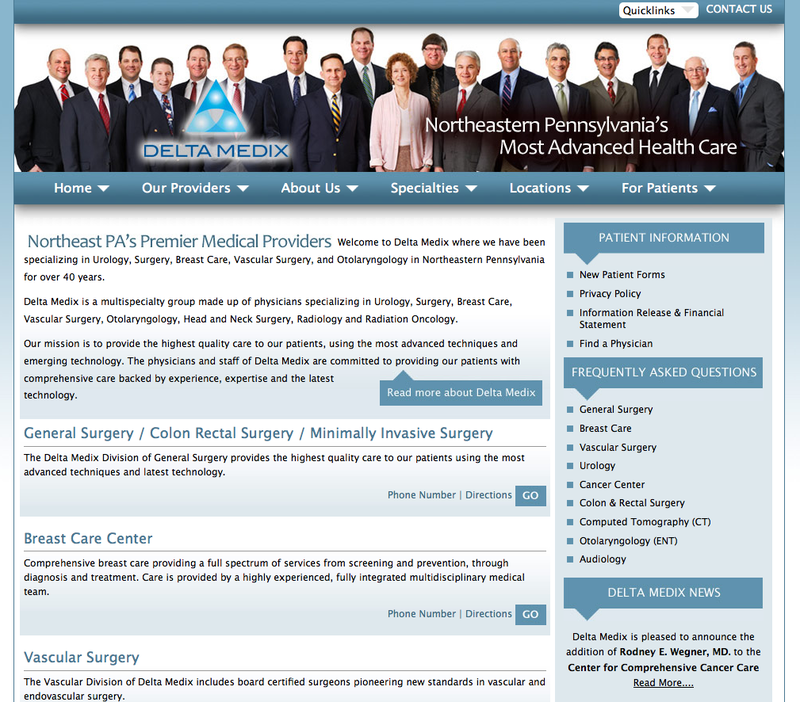 Now with search engine optimization well underway, the Delta Medix website is sure to be one of the Northeast’s premier medical resources. What web development services did graphXevolution provide for Delta Medix? Perhaps we can assist you with these types of services? 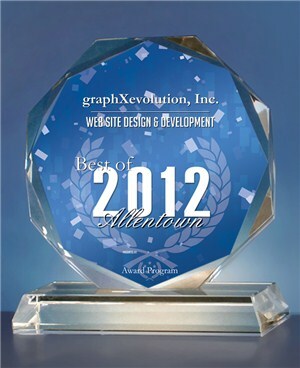 If so, contact graphXevolution, Inc. today at 484-298-4105 or email info@graphxevolution.com. Earlier in our blog we featured the new project for RP Flight, a PA based flight instructor. Well the day has come… the new RP Flight site is LIVE!!! We always feel a HUGE sense of pride when our work becomes public. Check out their great site and if you are in the market to learn to fly, why not give Robert Phillips a call today. Visit www.rpflight.com to contact him today. And of course, if you or your company need web redesign or web development, give graphXevolution a call @ 484-298-2272, or email us today! Check out our other web development work.